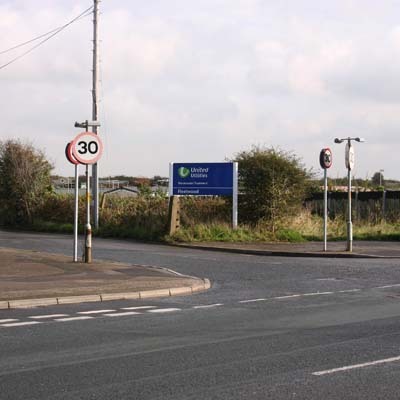 Fylde Coast Model Flying Association's flying site is located on Jameson Road, Fleetwood, Lancashire. Jameson Road is about 1 mile south of Fleetwood. It is off Fleetwood Road between the Broadwater and Cala Gran caravan sites and is adjacent to Fleetwood Marsh Nature Park. Ample car parking for visitors is available at the nature park. Leave the M55 motorway at junction 3. Take the third exit on to the A585 signposted Fleetwood. Drive right to the end of the road and enter the large circular car park for the conservation area. The flying site gate is clearly signposted from the car park. Visitors to the flying site should park on the circular public car park and proceed into the site on foot keeping to the fence on the left. Please be aware that aircraft could be landing and taking off whilst you are on the site so it is important you follow any instructions given by a member of the club.